PRE-BOOK your PHOTOS and RIDE FOOTAGE to SAVE! With our brand new video capturing technology, you can share your priceless reactions instantly to all your friends and family via your socials. 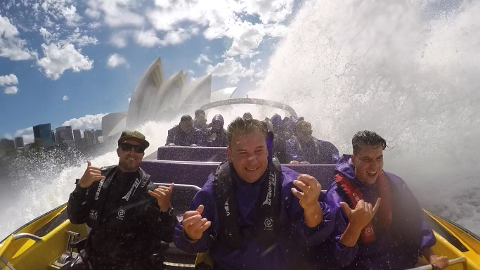 8-12 minute highlights of the jet boats performing stunts, wild spins, fishtails, twists and so much more in Sydney's picturesque Harbour! 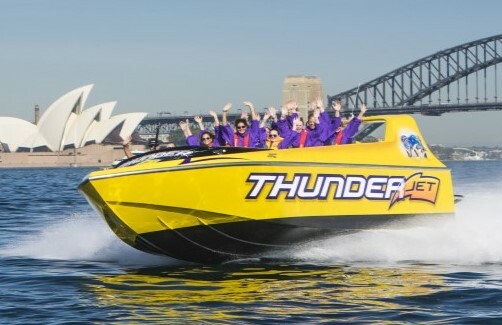 The Thunder Thrill ride offers a thrilling and fun harbour 30 minute harbour adventures for children and adults alike. 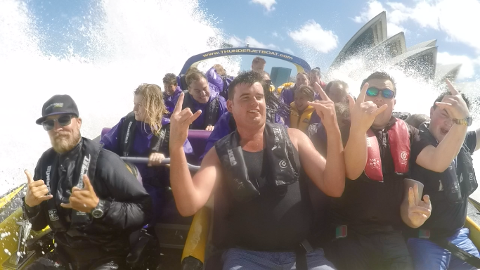 These heart pumping, adrenaline ride have the jet boats preforming amazing stunts and wild spins through Sydney Harbour with slides, twists, wave riding, power brake stops, and sweeping fishtails. 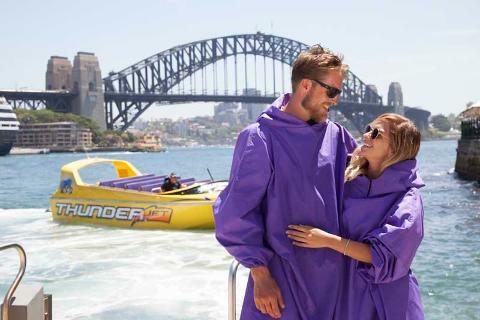 Our modern jet boats do sightseeing with a twist showcasing the world’s most beautiful city and harbour all year round. Get ready to hold on tight as the Thunder opens up! Departs every hour, every day from 10:30*am til sunset during summer months (Dec-Feb) and from 11:30am til 3:30pm during other months. 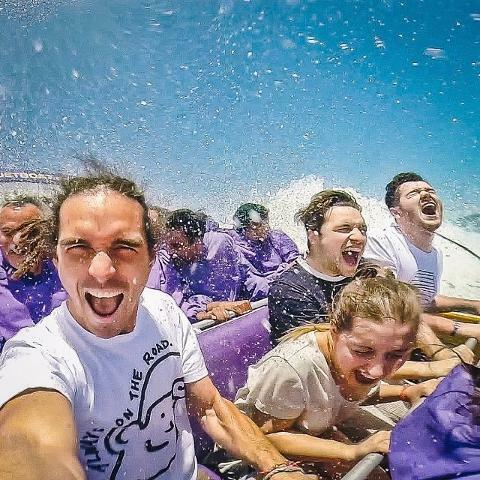 The minimum height requirement to ride on thunder jet is 120 cm’s. All passengers traveling are required to sign a jet boating assumption of risk form, if a passenger is under 18 yr.’s, a responsible adult over the age of 18yr.’s must sign on their behalf. Full length ponchos and life jackets are provided. Complementary lockers at the wharf are provided to store valuables and non water proof items.